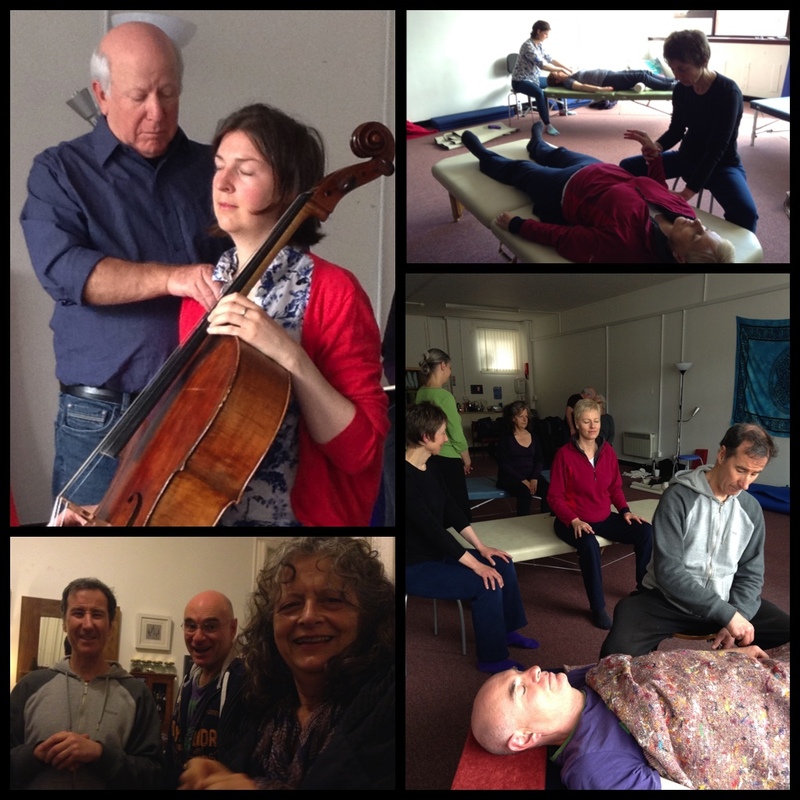 Last week, the three of us at Feldenkrais Glasgow welcomed Paul and Julie to Glasgow for the first time. It was unseasonably cold, but undaunted they gave a great public workshop followed by 4 days of Feldenkrais practitioner training. Over 40 came through the doors of the Websters Theatre hall to explore how they use their hands and arms. Some great comments after the event: ‘I had rehearsals and a concert last weekend and I felt great when I played’; ‘So delighted I went as it more than lived up to my expectations, and am most definitely hooked…’; ‘best night’s sleep for a long time!’. 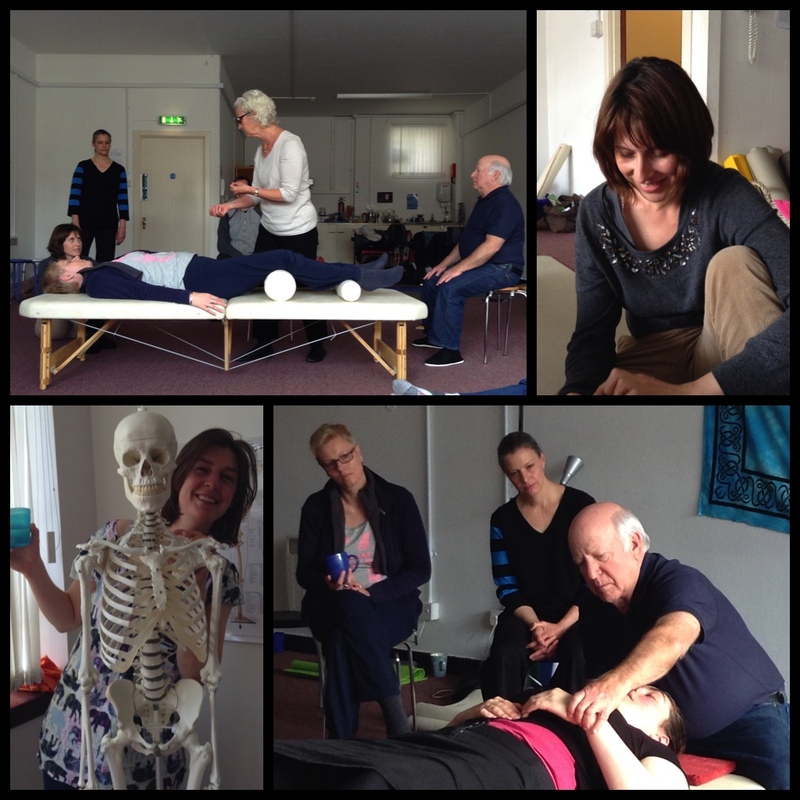 Glasgow May 2015, Feldenkrais postgraduate training. Paul Rubin, Emily Walker, Steven Whinnery, Steve Cheslett, Rebecca Meitlis, Regina Dietschy, Jae Gruenke, Jane Meek. We went on to explore the theme of hands and arms in more depth with the practitioner postgraduate training. Ten teachers converged in Glasgow from Switzerland, East Sussex, Cumbria and across Scotland. There was a real warmth in the atmosphere of communal learning and exploring. And Julie and Paul’s teaching was quite exceptional – lots of tales of their time in the 70s studying with Moshe Feldenkrais. We all benefited hugely from their generosity is sharing with us over 40 years of experience practising and teaching the Method. Some excellent food in North Star Cafe and the Ox and Finch helped too.